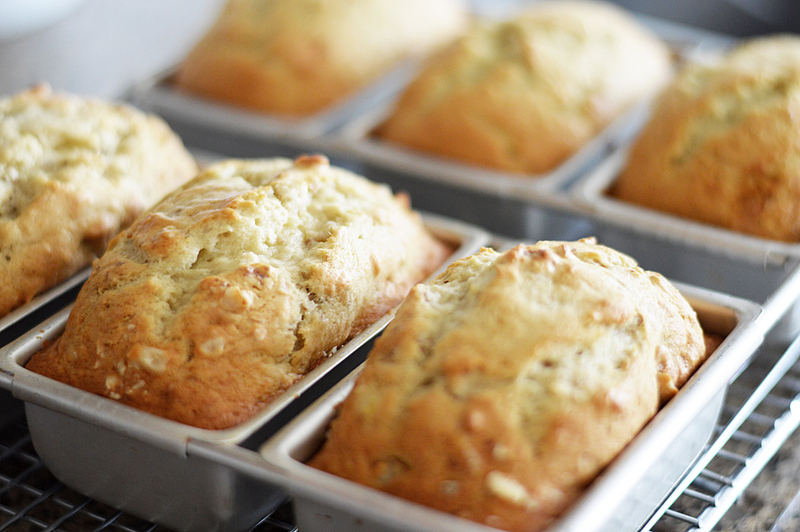 Banana bread is one of my absolute favorite snacks and these two recipes are both delicious. On the left, you have the very traditional banana bread. I love this one with a smear of vegan margarine. Yum! 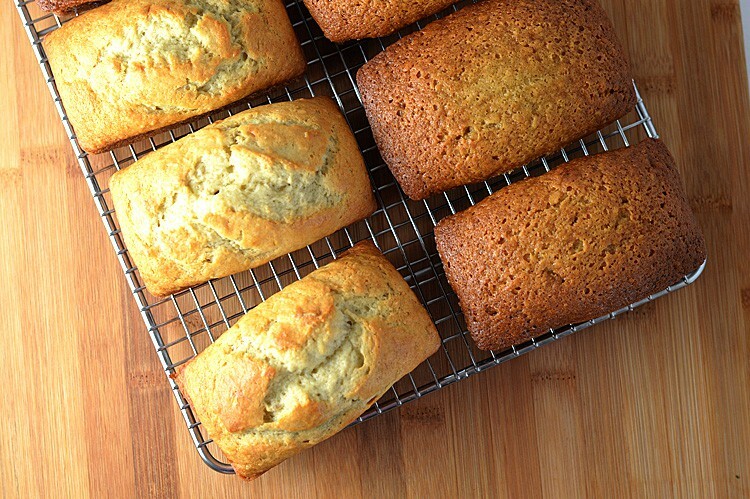 And then on the right, a sweeter brown sugar banana bread. My mom prefers this version. I mean, what DOESN’T taste better with brown sugar, right? The traditional does rise a bit more than the brown sugar version if aesthetics are important to you. I always make and freeze these little loaves. 6 cavity mini loaf pan found on…you guessed it, Amazon.com I believe it’s from Wilton, but there are several versions available. So let’s get started on the traditional version. I have been making this one literally for my entire life. 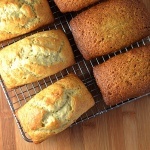 It is an adaptation from a quick bread found in my trusty Better Homes and Gardens Cook Book. The eggs in that recipe simply get replaced with applesauce and I substitute non-dairy milk as well. 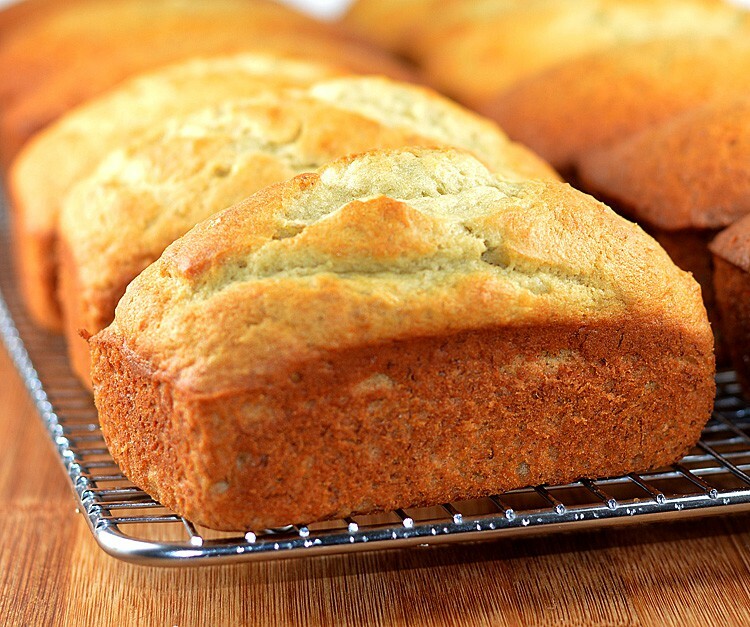 I love this bread because it serves as a good base – you can add just about anything to it. Toasted walnuts are a particular favorite. This bread is consistently moist and delicious. I make it at least once a month. The brown sugar version varies quite a bit from the traditional. It is definitely a richer, sweeter flavor. Using both white and brown sugars, this bread uses your choice of either applesauce or pureed silken tofu as an egg replacer. I can’t say I prefer one over the other, it just depends if I have tofu in the house at the time. Even unsweetened applesauce will add sweetness whereas the tofu just adds moisture, but no added flavor or sweetness. Additionally, we use either vegan sour cream or you can make a cashew cream which works equally as well. Lately I have been leaning towards the cashew cream. If you have a very high speed blender, you don’t even need to soak the cashews. No high speed blender? No worries. Just soak the cashews in water overnight, drain and blend. Simple as that! 2 Tbl Non-Dairy Milk Almond, Coconut, etc. Prepare pans with cooking spray. Divide amongst mini loaf pans (or simply use a traditional loaf pan). For mini pans, allow approximately 20-22 minutes or until a toothpick inserted comes clean. 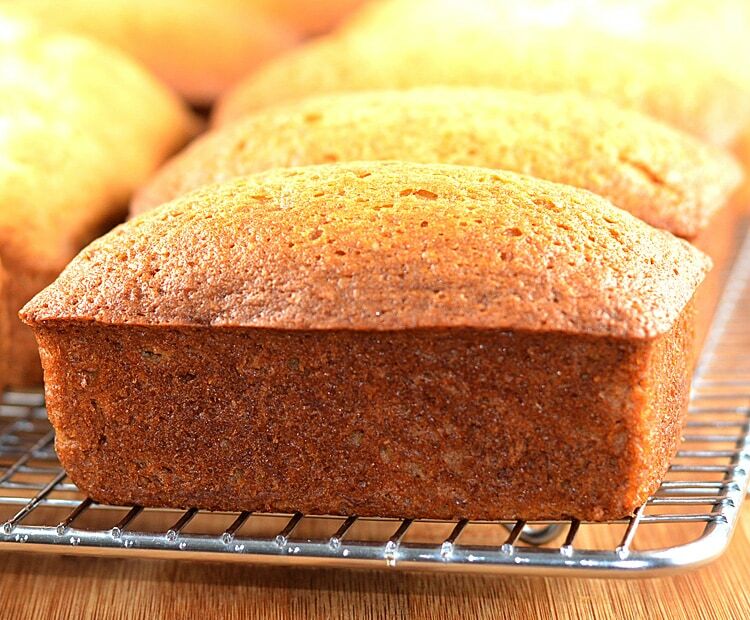 For traditional loaf pans, bake for 55-65 minutes or until a toothpick inserted comes clean. Mini loaves can be individually wrapped in foil and frozen.